The transportation industry relies on a constant flow of communication between drivers, agents, and staffs back at home office. It’s vitally important that their telephone systems to be flexible, reliable and able to provide rapid failover in the event of system failure. With such needs and the aim to build a seamless communication network that could keep its 450 employees and 10 branches in Poland connected, Hellmann Worldwide Logistics Poland Office had decided to switch to a new VoIP system with great reliability, mobility, and disaster resilience. After careful assessment of vendors, they chose Yeastar S-Series VoIP PBX and realized that it could greatly slash their cost, increase their mobility and improve their working efficiency. Founded in 1871, Hellmann Worldwide Logistics is a logistics services company with a worldwide network of 19,500 employees and 437 branches in 162 countries, which include the Poland branch established in 1991. In Poland, the company has 10 offices, 450 employees and over 51,000 sq.m. of warehouse space to delivers international air, sea, and road transportation services for multiple industries and segments. With ten remote offices and numerous on-the-go workers, Hellman Worldwide Logistics (Poland) needed a centralized phone system that was flexible, stable and multifunctional enough to keep all of its office locations connected in a cost-effective way while allowing their mobile drivers to call their office colleagues free of charge anywhere anytime. In addition, with a large volume of phone calls coming from 10 SIP trunks and 400 DID numbers every day, they also needed the new phone system to help them realize intelligent call handling and streamline operations. 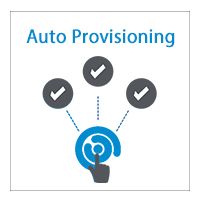 And a robust failover mechanism is also required to ensure high system availability and minimize downtime in cases of any unexpected server failure. Taking all the company’s needs into consideration, Freephone, a Polish VoIP Provider who offers innovative telephony services for residential and business customers, recommended Yeastar S-Series VoIP PBX Solution and it was soon adopted. According to the suggested solution, two Yeastar S300 VoIP PBXs, each with two D30 modules installed, together with Yealink IP phones were deployed in the company’s Poland head office to connect all 10 offices and deliver streamlined inter-office communications. The activation of built-in Hot Standby feature of S-Series VoIP PBXs has provided full redundancy for a network of 450 users and 10 lines. And the availability of Linkus Mobile Client also maximized the mobility for the company’s road worriers. The logistics industry is truly a mobile world. People, products, and packages are constantly on the move, and employees are increasingly in needs of a mobility solution. Yeastar Linkus Mobile Client, designed to coordinated with S-Series VoIP PBX, exactly fits the need. By utilizing Linkus Mobile Client, mobile workers are allowed to turn their mobile phones into office extensions and stay connected anywhere anytime. 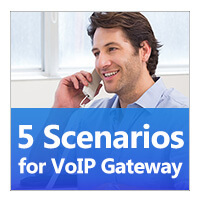 What’ even better, it also helps to reduce the mobile voice charges to almost zero with VoIP phone calls made through the company PBX, greatly slashing the overall communication costs. To deliver powerful branch office solutions, S-Series VoIP PBX is designed to allow secure remote extension registration, which means that IP phones or softphones in remote offices can be registered to the headquarter PBX easily and securely. 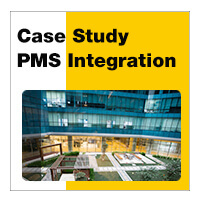 With such support, Hellman Worldwide Logistics (Poland) was thus able to use only one PBX system to connected all its 10 office locations and realized free and seamless inter-office calls, eliminating the needs to deploy multiple phone system and minimizing the infrastructure investment. With a full set of business-enhancing features like auto attendant, queue, and call routing, S-Series VoIP PBX has helped the logistics company to streamline call operations and improve work efficiency. The customized inbound call routing and the advanced IVR feature have allowed fast and efficient call processing especially when daily call volume was large. In addition, the intuitive Web interface of Yeastar S-Series PBX also maximized the ease of use for the company to manage and maintain their telephone system. To ensure high system availability, Hellman Worldwide Logistics (Poland) has deployed two S300 VoIP PBXs in the head office, one as the active server and the other as the hot standby server, to deliver a powerful failover solution. By such way, whenever the active server is down, the hot standby server will take over immediately and automatically to minimize system downtime and prevent the unnecessary business loss caused by unexpected server failure.